Do you ever wonder what your garden in HA4 would look like if you let the gardening professionals give it a makeover? Well our garden design team can let you in on a little secret. Drawing your garden down to the smallest of details, our garden landscaping team in Eastcote can give you a detailed plan of how your garden could look at its very best. Working to a design brief outlined by yourself, our landscaping team have the experience and knowledge to make the very best of your garden space and will only ever give you something that suits your needs. So if you want a bespoke, designer garden at an affordable price, call our Eastcote gardening experts for a quote on 020 8434 7256 today. Have you always wanted your garden to have pretty flowerbeds, flourishing vegetable patches or a thriving rockery? 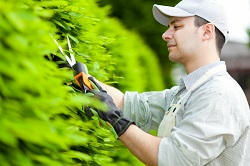 Then our reliable gardening team in Eastcote can help. Experts at planting all sorts of plants, flowers, seeds and trees, our gardening professionals in HA4 can help you to succeed. So don’t sit around worrying about whether your plants will blossom or if your carrots will grow, when our gardening experts can guarantee that they will bloom. Our gardeners in Eastcote are skilled at knowing where to plant, how much to feed and what to weed, and will always know exactly what gardening work to do. 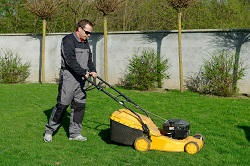 At London Gardeners we offer a great landscaping, garden clean up and garden maintenance service in the HA4 areas which can give your garden a much needed transformation. So don’t leave your garden design down to chance when our Eastcote gardening professionals can give it some new gardening style. As well as helping out with your one-off garden tidy ups, our reliable gardening team in Eastcote can also take care of your general garden maintenance. 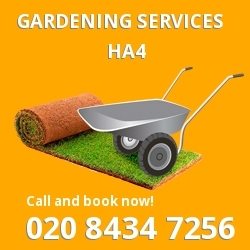 Offering an holistic gardening service around HA4, our gardening professionals can take care of anything that needs doing. Windy autumn days and cold winter months can have a big impact on your garden, leaving you with a big mountain to climb. 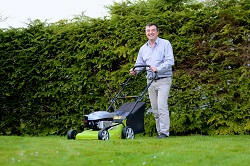 That is why we have developed a cheap and cheerful garden clean up service provided all around Eastcote which can help you to get your garden back into shape. Our garden tidy ups can take care of all of those basic clear up jobs, including leaf clearance, grass cutting and patio cleaning, while our garden waste removal team can take care of all of those fallen branches and trees.